← The North Face® Freeski Open of NZ Comp Week has Arrived! Winter is fast approaching but this doesn’t mean that you have to stop watching all of your favorite sports. Although baseball will be long over, football will be in the height of its season as will some other non-traditional sports such as ski jumping and snowboarding. The Betfair Winter Sports Markets are already up and running with the latest information for the next season. The next winter Olympics will be in 2018 but that doesn’t mean that athletes aren’t already preparing. The Snowboard World Cup in London is set to start on the 14th November and is garnering a lot of news attention lately. New events have been added to the lineup for the 2018 games that will surely bring new life and new athletes aboard- a new ‘big air’ event, team skiing, mixed curling, and alpine skiing events according to BBC Sports. All the new events are for men and women. Sky Sports reports that events, disciplines, and rules can be added or changed until three years prior to the beginning on the games. The BBC also reported that The International Olympic Committee says that it hopes to draw the attention of some different audiences, particular youth and women, in adding these events. The committee said these changes and additions were in the best interest of the games, bringing about gender equality, infrastructure and optional cost complexity, and marketing appeal to TV and other media. 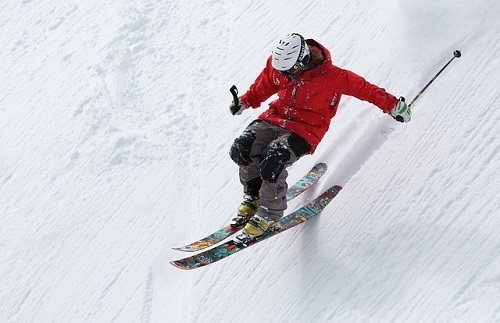 The winter sports markets are shaping up to have a very exciting season. With Great Britain winning four medals at the 2014 Sochi Winter Olympics, they are in the running to win a record holding amount of medals in the 2018 games with the additional of new events. Some seasoned athletes have already been picked as top contenders and as people to watch. According to Betfair.com, Severin Freund has the best odds having been the 2014-2015 FIS Ski Jumping World Cup Champion. Wikipedia references that he is the first German to win the World Cup since Martin Schmitt in the 1999-2000 season. Other fan favorites, such as Tina Maze (Slovenia), have decided to take a break from the next set of games in order to rest and recoup. Maze won the overall World Cup title in 2013 and finished runner up to Anna Fenniger (Austria) last season. Another exciting twist that will surely bring in tons of views is that Vanessa Mae will be back in the running after her four year ban was lifted this year. In order to keep track of all the latest odds, winnings, athlete stats and more, many websites have popped up to help out the avid sports fan. To keep tabs on all of your favorite athletes and to find out the best winning odds, websites like Betfair (https://www.betfair.com/sport/winter-sports) keep track of everything for you in one convenient location. The Betfair winter sports markets are already up and running with odds and predictions for the 2015-2016 season as well as the 2018 winter games. This entry was posted in News, Winter Sports and tagged news, Winter Sports. Bookmark the permalink.